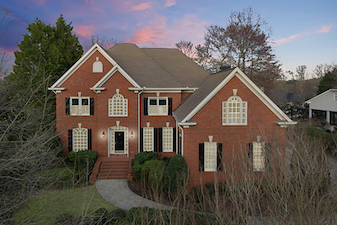 Located in one of the best locations in Alpharetta off Haynes Bridge Road and Mansell Road, Thornberry offers tremendous value for an upscale home in Alpharetta. The location offers quick access to Georgia 400 at either exit 8 or exit 9. You can search all Alpharetta homes for sale here. Thornberry in Alpharetta is a popular neighborhood with sidewalks and streetlights, Thornberry also boasts the convenience of a sensor-equipped traffic light for a fast exit onto Haynes Bridge Road. The closer in, South Alpharetta location is convenient to Georgia 400 and Northpoint Mall. The school district for Thornberry is Northwood Elementary, Haynes Bridge Middle, and Centennial High. This Habersham Osley swim/tennis community is comprised of nearly 200 homes that back up to the Big Park Greenway. A long, winding park on Big Creek with 12-foot wide walking and riding trails. Stay up to date with what's going on. View all of the recently sold homes in Thornberry here. Schools that serve Thornberry at the time of this writing are Northwood, Haynes Bridge and Centennial. All of the schools are part of the Fulton County School system. If you are a homeowner and would like to sell your home in Thornberry, Premier Atlanta Real Estate can help. Contact us to schedule a meeting and find out how our marketing plan is different and can help you sell your home for the most money in the least amount of time. We are experts in Alpharetta Real Estate and we can help you sell your home for the highest price in the least amount of time.